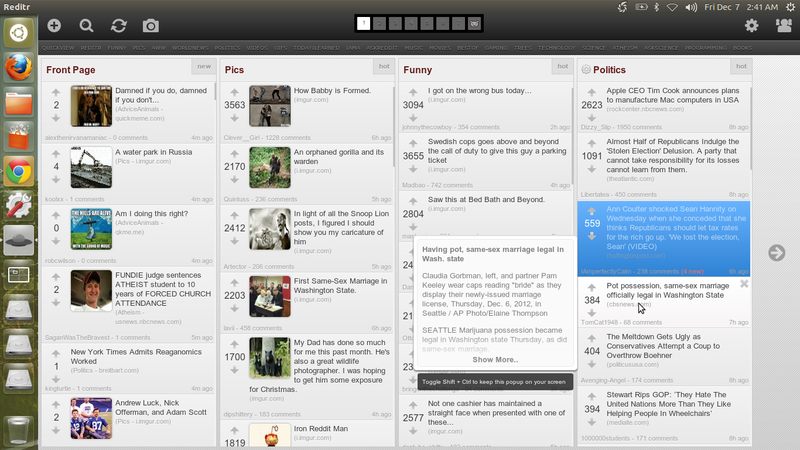 Reditr is a multi-column Reddit client for desktops. 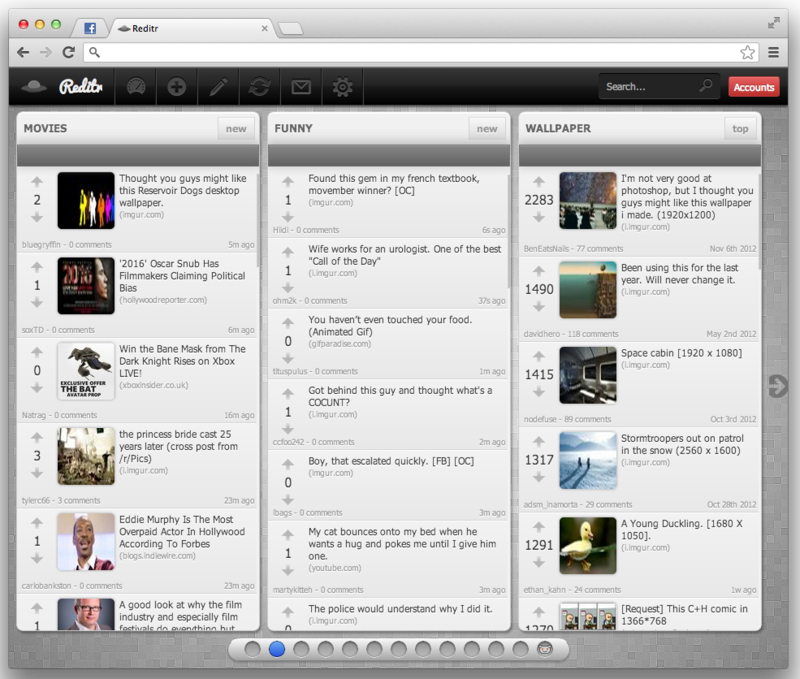 It currently supports Ubuntu, Mac, Windows and Google Chrome platforms. When it was first announced few months back, it created a lot of excitement, especially among Linux folks. But the initial Reditr Alpha release disappointed quite a few. Now that there is proper support for Debian based distros like Ubuntu and Linux Mint, Reditr is suddenly starting to feel a whole lot different. You can now view new comments since last visit. Reditr now syncs which active account you’re on & does an auto-login. Gallery mode now featured more prominently. Comment controls follow you when you scroll through comments. Load all comments button added to posts. "Sent from Reditr" signature is no more. There's more. Devs, Dimitry Vinogradov and David Zorychta, are working on a more polished look and feel for Reditr. Here's a mockup of the same.